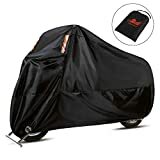 With its compact design, a motorcycle can grant you the feeling of unparalleled freedom on the road. 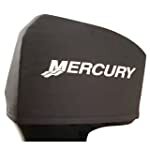 While the sensation of the wind in your hair can seem priceless, however, the actual cost of a motorcycle can be staggeringly high. 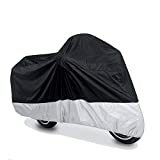 As such, you’ll want to protect your motorcycle from inclement weather conditions, making a motorcycle cover an essential accessory. 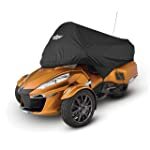 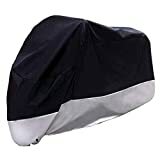 With a motorcycle cover, you can keep your vehicle looking as sleek and beautiful as the day you bought it. 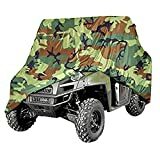 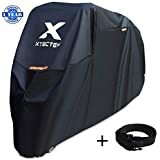 Why use a motorcycle cover? 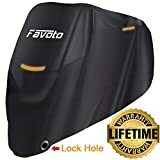 Maintaining a motorcycle can be even more expensive than purchasing one, meaning it’s in your best interest to do as much as possible to keep it protected. 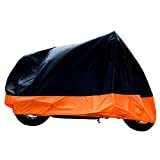 If you plan on keeping your bike in a garage or shed, a motorcycle cover is not strictly necessary. 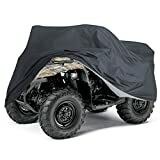 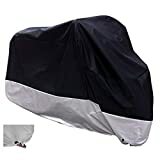 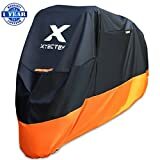 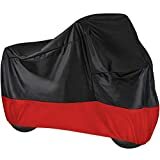 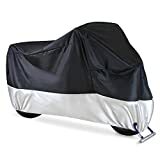 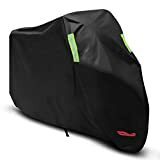 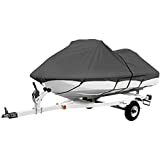 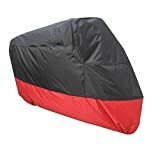 If, however, you need to keep your bike outside, an outdoor cover will cover the entire motorcycle, ensuring it remains guarded from every angle. 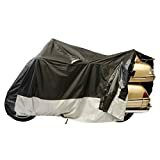 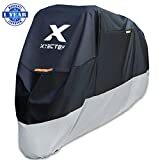 Besides shielding your bike from the rain and wind, motorcycle covers also come equipped with heat shields, scratch-proof liners, and rust-resisting fabrics, to ensure your motorcycle remains in top condition. 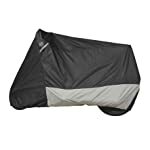 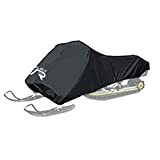 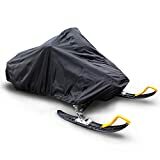 •	Covers with zippers offer the most protection, but can be a hassle to take on and off. 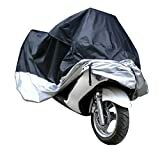 If speed is essential to you, consider a clip-on motorcycle cover. 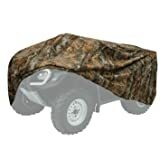 •	If your region is affected by considerable snowfall, consider a cover that has been crafted with wintery conditions in mind. 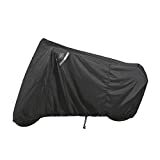 •	Proper fit is essential to ensuring maximum protection, so measure your motorcycle before purchasing a cover.